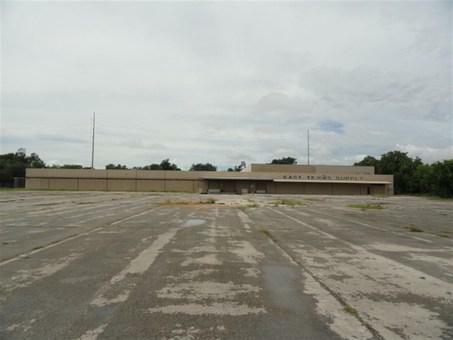 59,522 sq ft concrete block building situated on 3.74 acres with 350 ft frontage on Gulfway and 310 ft frontage on Dryden. Building was originally constructed for Gibson Shopping Center. Previous tenants have used building as janitorial supply company and industrial supply company that serviced local area. Building offered 'As Is Where Is Condition'. Building could be demolished for new retail center or converted to industrial storage. Contact Larry Wood at 409-749-4300 for additional details and showing instructions. Combination lock box to be installed. Overhead Door Width: Ten Ft., Twelve Ft.